Eating salad almost every day may be one of the most healthy eating habits you can adopt. Green salads are a healthful addition to any diet, with most leafy vegetables providing lots of nutrients in a very low-calorie serving. Fruit salad keeps you healthy and fit as they are low in calorie, rich in anti-oxidant and prevents aging. 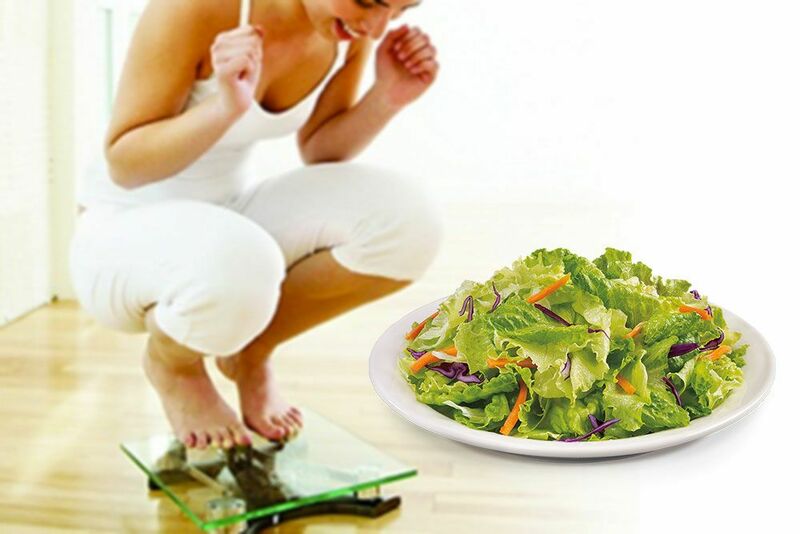 Salads not only help you lose weight, but also help you meet the daily recommendations for fruit and vegetable consumption, as well as for essential nutrients. Fresh vegetables keep you fit because they are low in calories and help you fill up as they are high in water and dietary fiber. Possible ingredients for a vegetable salad include lettuce, spinach, sprouts, tomatoes, cucumbers and beans. For vegetarian-friendly protein, reach for beans, nuts or soy products, like tofu or tempeh. Kale, spinach, arugula, and romaine or a mix of baby greens, all make excellent, low-calorie choices for your salad base. To boost the fiber, add chopped raw veggies, like broccoli florets, asparagus tips, sliced carrots and tomatoes, or slice a fourth of an avocado onto your salad. Fruit Salad is a Healthiest way to reduce weight. Fruits are a Low calorie diet, so even if you take large quantity of fruits, it won’t make your belly go out. Even it will help you to reduce weight. Fruits provides plenty of fiber that helps you reduce your cholesterol and fat from your body, so fruits help you provide your tummy a slimmer but healthier shape. So it helps you lose weight. Fruits contain abundance of different variety of anti-oxidants that destroys free radicals in your body. Free radicals damage human body cells that can cause different kind of cancers. Folic Acid is important for red blood cells and helps in pregnancy for healthy development of fetus. Fruits are very rich source of vitamins, minerals, nutrients, anti- oxidants and other pigments that help you nourish the cells in your skin, by protecting from damage and rejuvenating the cells and tissues of the skin. Rich source of Energy- As fruits contains different vitamins and minerals; it helps your body to keep energized. That is why sports person often eats fruits.